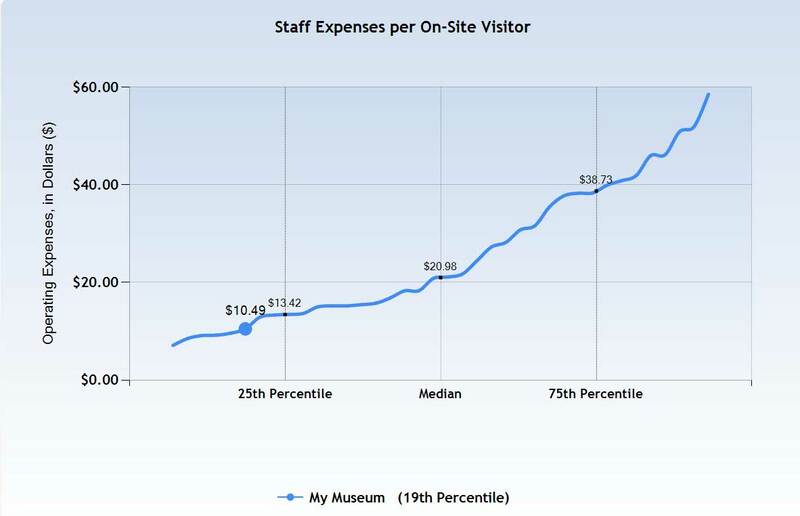 Wondering how your museum or historic site is performing compared to others? Is your admission fee to high or too low? Is your membership retention rate better than average? Do similar organizations have the same size staff? Do you need credible data to make your case for your museum’s needs to your board, members, or city council? Sample benchmarking chart in PowerPoint. It’s nearly impossible to find these answers unless you buy an industry-wide survey (usually years out of date) or are part of an informal network committed to sharing data. But help has come, and it’s free (mostly). The American Association of Museums has moved and expanded its Museum Financial Information survey to a secure online tool, Museum Benchmarking Online (MBO) (www.aam-us.org/MBO). MBO is a quick, easy way to support your cause and helps AAM better advocate for museums and historic sites across the nation. This entry was posted in Performance measures and tagged American Association of Museums, Museum Benchmarking Online on October 25, 2011 by Max van Balgooy.